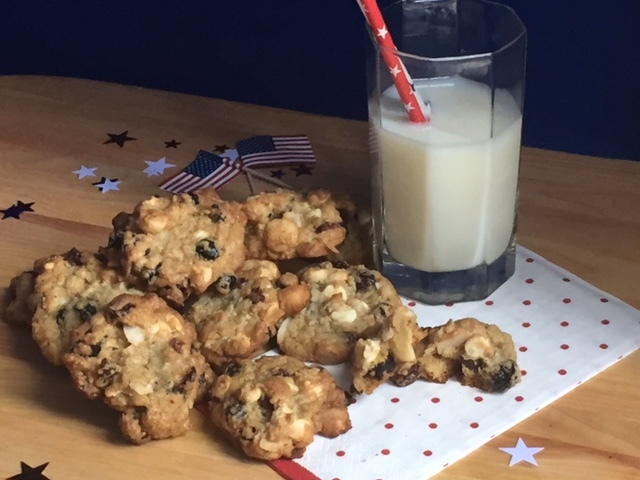 I suppose I’m on a roll this week making sweets because today I’m sharing my Red, White, and Blue Cookies. Sweets use to be all I ever wanted to make, but as I mentioned in my Berry Tart for Independence Day post, I hardly bake anymore. Obviously that’s not the case this week. 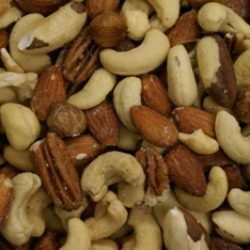 I had some Macadamia nuts in my pantry and decided I should use them. I thought a Red, White, and Blue Cookie would be fun for the holiday. I wanted these cookies to taste different, not like your typical chocolate chip cookie. So I set out to see what types of recipes I could locate. 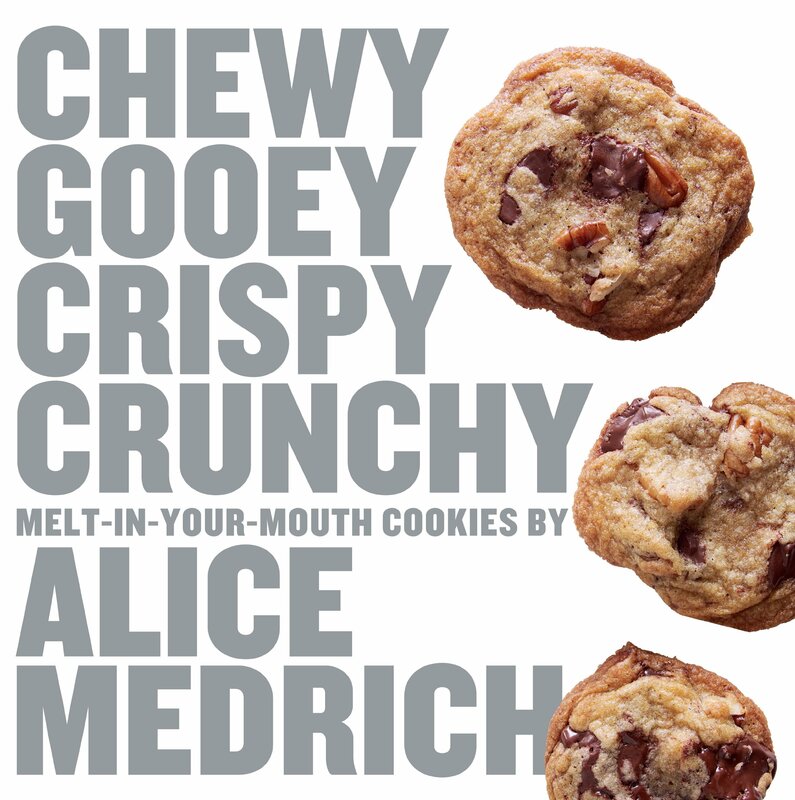 I’ve had the book Chewy, Gooey, Crispy, Crunchy, Melt-In-Your-Mouth Cookies, by Alice Medrich. Her book is filled with all sorts of cookies so I thought, “why not look in there?” Within just a few minutes I found a recipe for a Macadamia Nut cookie that sounded unique. Although it didn’t consist of all the colors of the American Flag, so I needed to add a few more ingredients. I decided that dried cranberries or “Craisins” would work, dried blueberries, and then finish it off with some coconut flakes. It was perfect, and was I in heaven!!! Medrich suggests whenever possible to weigh your ingredients with a scale when baking. It’s too easy to add too much flour depending on how you scoop it, level it or even aerate it when using measuring cups. Weighing is the most accurate and will insure the finished product isn’t too tough or dry. The same goes with the other ingredients – if you stuff them into the cup, let it flow over, or do a light scoop. Weighing simply makes all the difference and insures that every single time you make the recipe it will come out the same. Medrich also recommends to refrigerate the dough once combined if you can control yourself to wait. 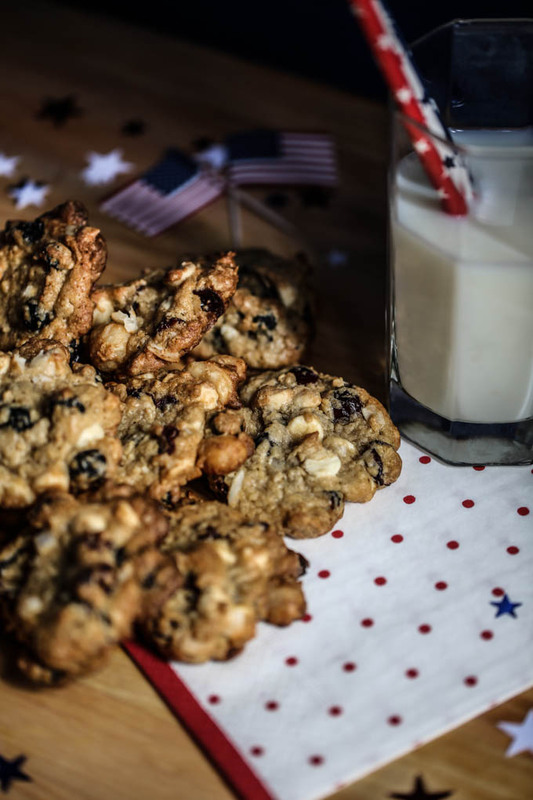 Refrigeration may help in the appearance of cookies, keeps the dough from spreading out too flat, and allows the nuts, chips, etc. to poke through the dough showing themselves more. I took this recipe to a different test and decided to bake my first batch after 2 hours of refrigeration on Convection Bake. My cookies didn’t spread as much, in fact were more like a mound with the exterior crispy, and interior soft, just how I like it. On Conventional Bake mode, and after chilling overnight, the cookies were crispy all the way through, and spread out more. This is typical though since Convection Bake circulates the air around the oven, with even heating. 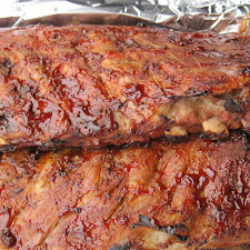 It gets the outside of whatever you cook in that mode, crispy, leaving the inside more tender and soft. Plus it cooks everything faster not giving it that time to spread to the fullest. 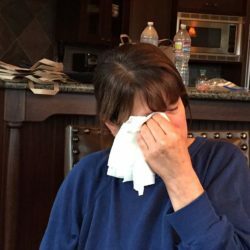 Alice Medrich had so many great tips. If you’re a baker you may want to look into purchasing her book. (I am in no way being compensated for this post, nor was I hired to share my views or test recipes). 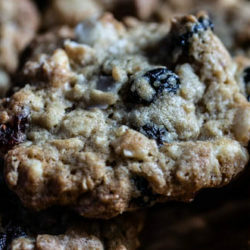 The secret ingredient in this recipe is without question pulverizing the oats. 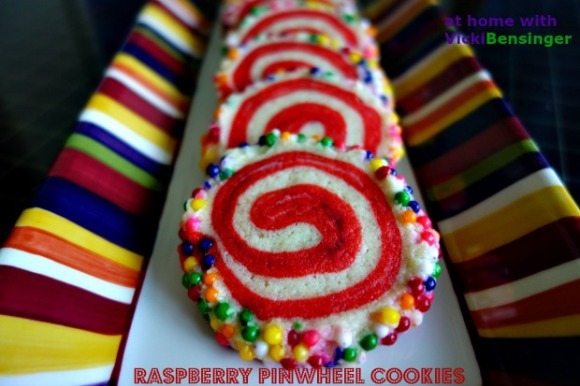 I don’t know how to describe it but trust me, when you taste these cookies you’ll know – they’re amazing!!! 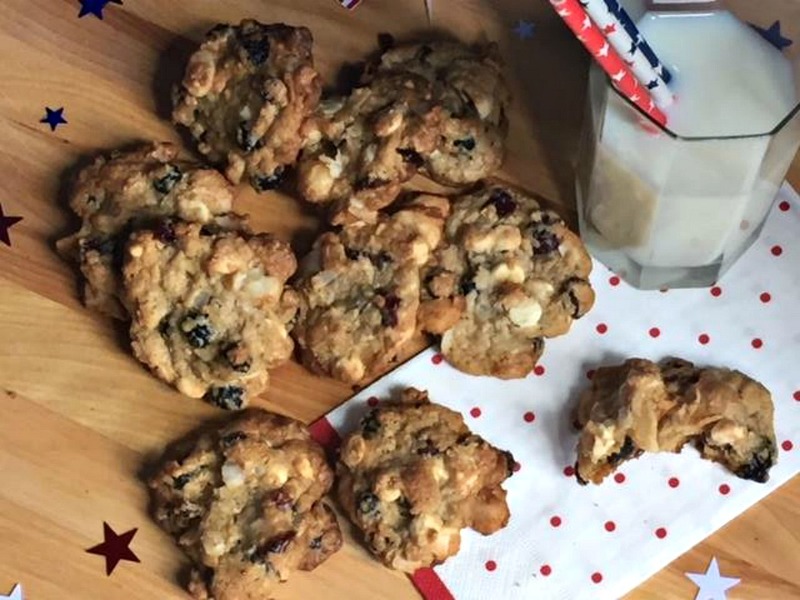 If you try these Red, White, & Blue Cookies please let me know what you think. Please share your photo on Instagram and be sure to tag them #vickibensinger. These Red, White, and Blue Cookies are full of yummy surprises. Bite into just one, they're heavenly! 1. 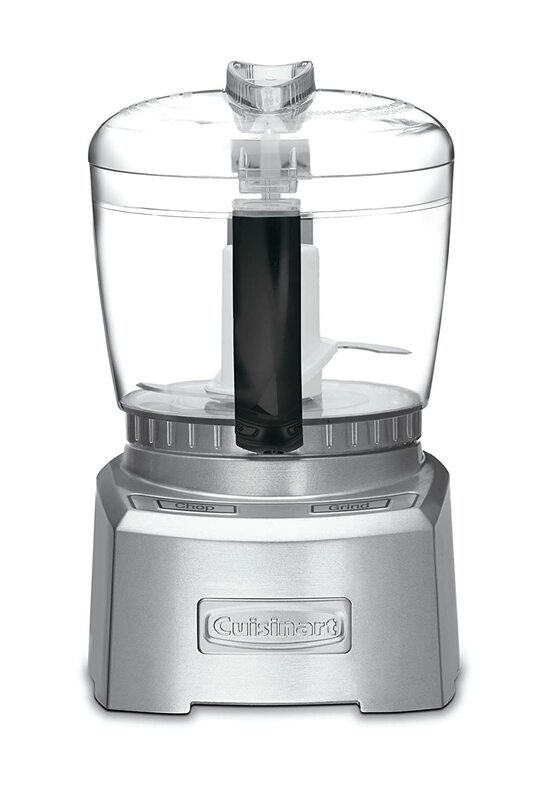 Pulverize the oats in a food processor or blender until fine. Add the flour, baking soda and salt. Pulse to combine and set aside. 2. In a large bowl, combine the melted butter with the sugars and vanilla. Whisk in the egg. Stir in the flour mixture just until all of the dry ingredients are moistened. Let the mixture cool for a few minutes if it is at all warm. 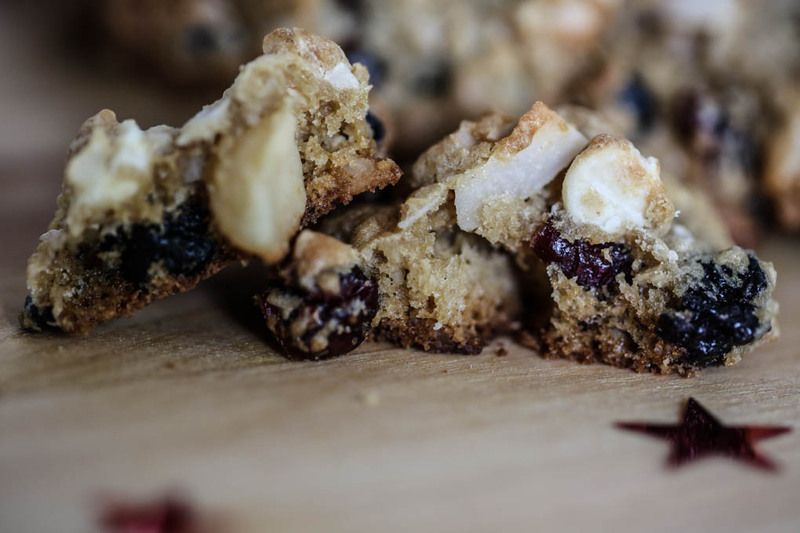 Stir in the nuts and chocolate chips, dried berries, and coconut flakes. Cover and refrigerate for at least 2 hours and preferably overnight. (I waited 2 hours for my first batch, then overnight for the second). 3. Preheat the oven to 325. Position racks in the upper and lower thirds of the oven. 4. Remove the dough from the refrigerator to soften. 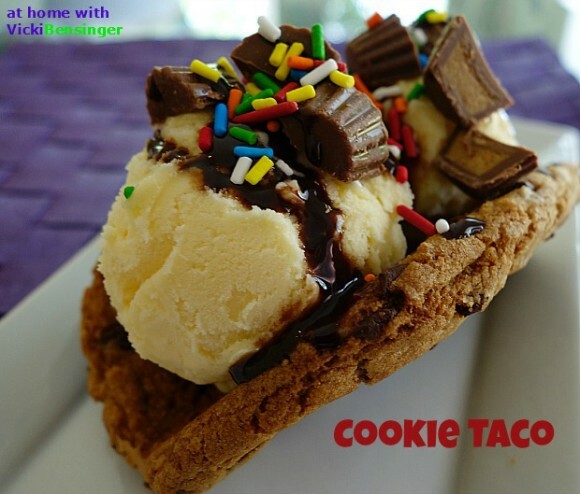 Using a cookie scoop, scoop dough and place about 2 inches apart on an ungreased or foil lined cookie sheet. Bake until cookies are deep golden brown, 13 to 15 minutes. Rotate the pans from top to bottom and from front to back halfway through the baking time to ensure even baking (I didn't do this). For unlined pans, use a metal spatula to transfer the cookies to rack for cooling. For lined pans, set the pans or just the liners on racks. 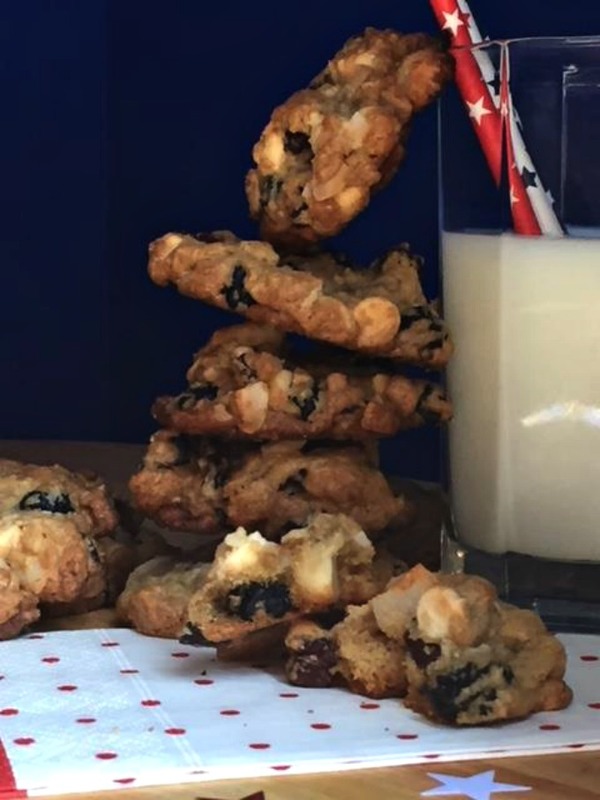 Cool the cookies completely before storing or stacking. May be kept in an airtight container for several days. Note: The first batch I made was after 2 hours of refrigeration. I baked those at 325F degrees on Convection Bake for 8-10 minutes until they became golden. The second batch I made after refrigeration overnight. I baked those at 325F degrees in Conventional Mode for 13-15 minutes. I personally liked those baked on Convection Mode. The outside was crispy and the inside soft, and they didn't spread as much maintaining more of a mound cookie. That said, on Conventional Mode they were still equally as delicious, and crispy throughout the cookie. Those spread more and were relatively flat. 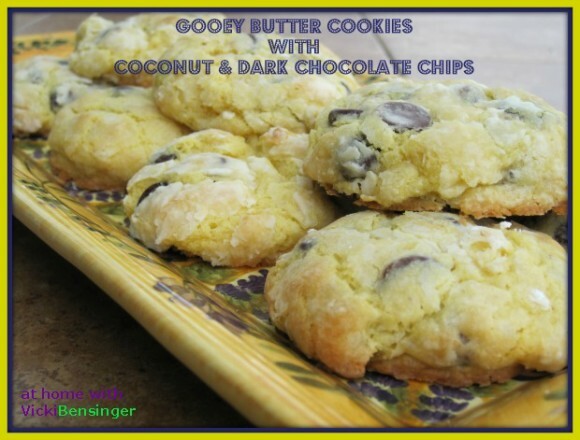 These cookies are loaded with goodness :-)) Absolutely irresistible! 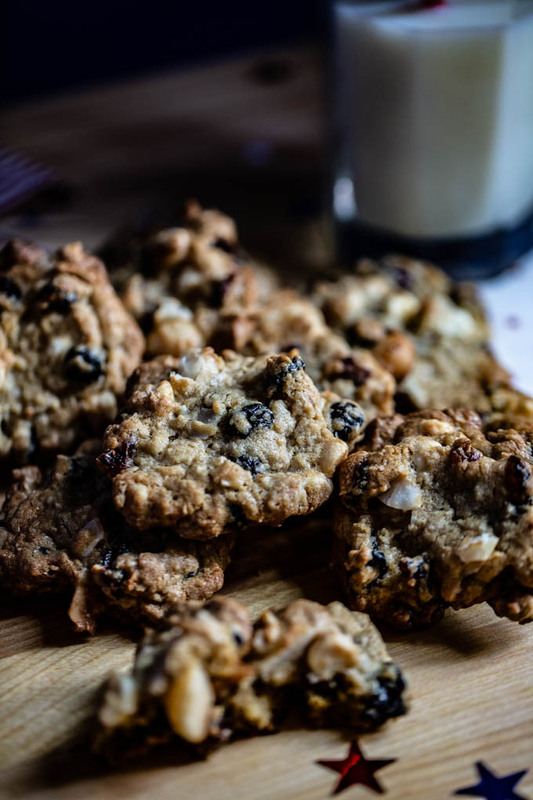 Love the flavor and texture of oatmeal cookies. Plenty of sweet treats hidden in these! Fun recipe — thanks. 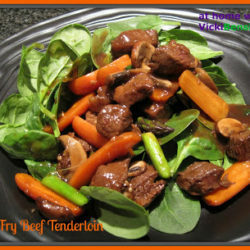 You can’t go wrong with an Alice Medrich recipe! I hope to bake these cookies soon!